I want to know if the 404HD does this as well (with less output ports off course)? 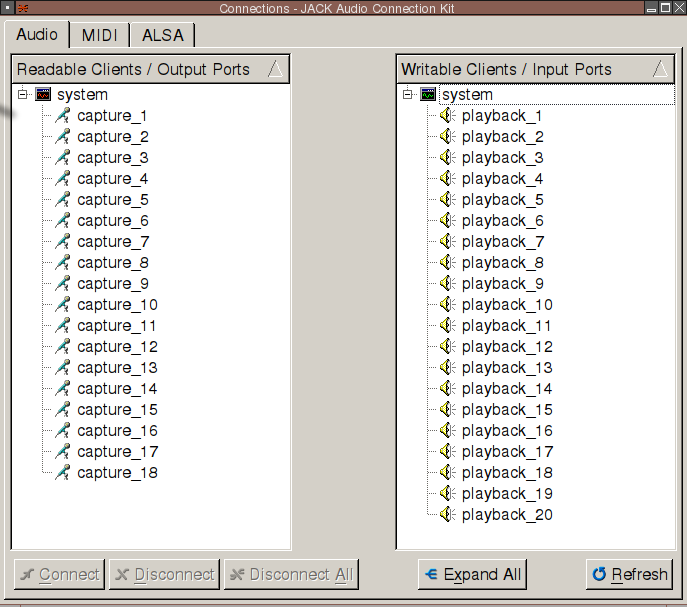 Because I want an audio interface with which I can record multiple tracks at the same time in a DAW. Re: Linux support Behringer UMC404HD? Mac OS X operating system: No drivers needed, your U-Phoria interface operates class-compliant. So it seems to be a class compliant device and should work with Linux. Thanks. If I'm not mistaken then the UMC204 was supposed to be class complient too. Some people however have problems w/ it. Same thing goes for the (discontinued) UMC404 (notice the omission of the "HD"). Firmware upgrades etc. changed the way that the device was reported to Linux (i.e. as "generic" instead of a proper unique name). That meant that ALSA couldn't load a driver for it. And the same goes for the Arturia Minilab: some revisions are Linux compatible some are not (see this topic). So I always ask if somebody gas got hands on experience w/ hardware on Linux. My UMC404 (not the HD model) works fine in Linux. For what it's worth, I did firmware update it in Windows but cannot remember what version was flashed to it. asbak wrote: My UMC404 (not the HD model) works fine in Linux. For what it's worth, I did firmware update it in Windows but cannot remember what version was flashed to it. Thanks for the link, Linuxmusician01. I'm a bit surprised about that user's problems because I would have thought that the firmwares in use on the 204 and 404 would be very similar. There are so many variables which come into play that it's difficult to draw a conclusion based on one user's issues. If there were more reports it would have been possible to draw conclusions with more certainty as to whether there is really a problem or not with the audio interface, as opposed to how the workstation/s are configured. The root problem is the JACK server itself which seems to not stop properly if you press the STOP button at the QJackCtl panel. I suspect that what's being referred to here is issues with Dbus / jackdbus. In the past I had so many problems with it myself that I ended up throwing it out by getting rid of the Ubuntu supplied jack2 and recompiling it from source without dbus support. Since doing that my systems have worked a lot more reliably. Note that Cadence will stop working because it requires jackdbus. asbak wrote: Thanks for the link, Linuxmusician01. I'm a bit surprised about that user's problems because I would have thought that the firmwares in use on the 204 and 404 would be very similar. There are so many variables which come into play that it's difficult to draw a conclusion based on one user's issues. That works and no mysterious Jack spawn. Killing Jack is needed to run PulseAudio. And without Pulse, no audio in Firefox. So did anyone actually buy one of these? I'm looking at the UMC202HD. sysrqer wrote: So did anyone actually buy one of these? I'm looking at the UMC202HD. I actually received the 404HD two days ago. Connected it to my laptop (no ext. power adapter needed!) and it presented itself to JackAudio as a USB sound card/device w/ 4 separate IN and OUT ports. No problem. Some say that using the 404HD to monitor output (headphones?) does not work. I still have to test that yet. I'm experimenting w/ the insert ports for effect (stomp) boxes (works fine by the way too). I primarily use it as an analogue mixer at the moment. So it's suited to simultaneously record 4 tracks at once. That's great news Linuxmusician01, thanks for the information. How about xruns, is it stable etc? sysrqer wrote: That's great news Linuxmusician01, thanks for the information. How about xruns, is it stable etc? What is an xrun and how do I check that? Linuxmusician01 wrote: What is an xrun and how do I check that? Xrun is when you hear a pop or dropout in the sound, if you're recording audio and one happens it means that the drop out will be recorded. Qjackctl and cadence have counters for them, and I think ardour creates markers when they happen. Sometimes they are not too much of a concern and can be pretty much silent but generally you want to avoid them. My question here is related with running Ardour and Mixbus. I've recently bought a Behringer's UMC404HD. 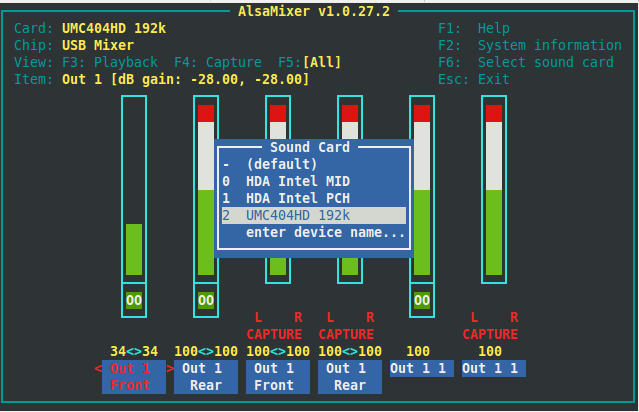 Differently from what I've seen around, Jack recognizes the interface, Alsa Mixer too (altough it is not on the top of the list). I can see the device under Alsa Mixer etc. I can start Jack and make all adjustments, but when I load either Ardour or MixBus, starts but sytem becomes quite unstable, no sound etc. I have tried many things (e.g. 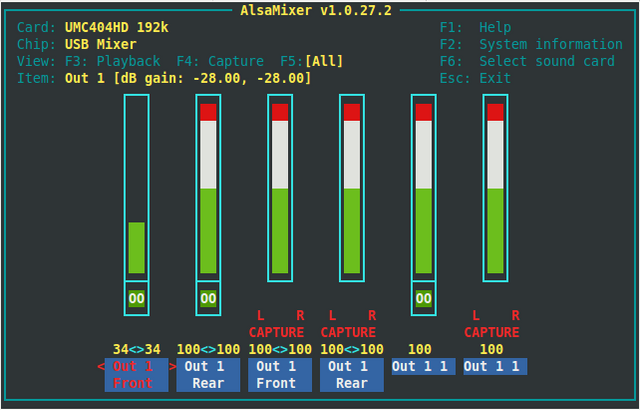 running MixBus under Alsa>Jack etc.) But it doesn't work at all. I've tried the Unity under Windows and it runs fine. While Installing MixBus I've got couple messages regarding processor scaling systems governor to be set as " performance" which I did (I'll try to load pics here). Most the time MixBus doesn't run at all... but even when I make it work, I can't record, play anything. Same with Ardour. 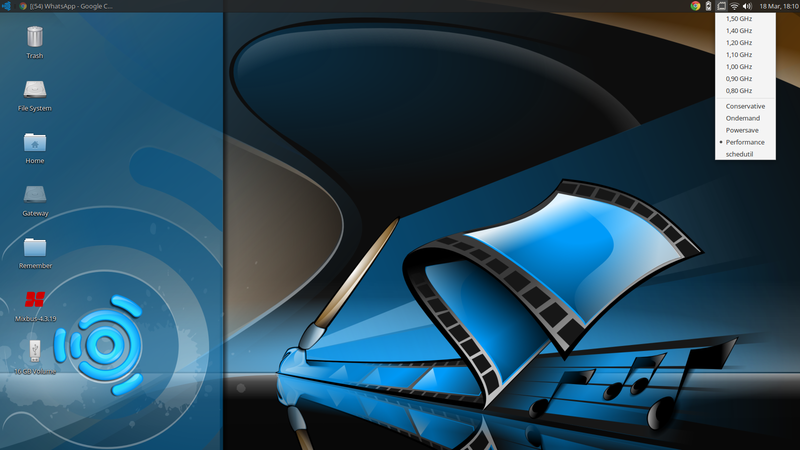 I've installed 17.10 then formated the HD and installed 16.04 and in both systems I could not make MB nor Ardour to run. Please let me know if need to provide more info ok? Do Mixbus and/or Ardour work without the Behringer 404HD device attached? Behringer UMCxx products seems to now have issues on Linux. I've had issues with mine UMC204 with pops and clicks on Linux, Windows, and MacOS. That was with the first one so I sent it in for brand new replacement and I had the same exact issues on all 3 differenct OSes. Emailing Behringer back and forth stopped after the issue continued with the brand new replacement. From this experience I turned to other interfaces and no longer use Behringer personally. New? We're glad you're here!